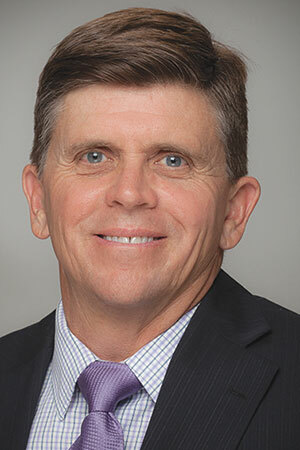 Tim Rafferty, PGA Head Golf Professional at Troon Country Club in Scottsdale, Arizona, has been named the 43rd recipient of Southwest PGA Golf Professional of the Year Award, the highest annual honor bestowed by the Southwest PGA on a PGA Professional. Rafferty was honored at the Southwest PGA Special Awards Ceremony on January 13, 2017 at Paradise Valley (AZ) Country Club. The evening’s program featured all 2016 Southwest PGA Award winners: Tim Rafferty of Troon Country Club – Golf Professional of the Year • Frank Underhill of Verrado Golf Club – Assistant Golf Professional of the Year • Michael Lamanna of The Phoenician Golf Club – Teacher of the Year • Dale Balvin of Golf’s Elementary – Youth Player Development Award • Doug Westcott of Desert Highlands Golf Club Bill Strausbaugh Award • Kyle Helms of University of Nevada Las Vegas – Horton Smith Award • Bernie Eaton of SaddleBrooke Golf Club – Player Development Award • Bryson Hotchkiss of Firerock Golf and Country Club – Private Merchandiser of the Year • Chuck Bombard of Royal Links Golf Club – Public Merchandiser of the Year. The Southwest PGA Golf Professional of the Year – Born in Kalamazoo, Michigan, Tim Rafferty’s love for golf began at a young age. He was inspired and drawn to the game by his grandfather, who was a former golf professional in Michigan. 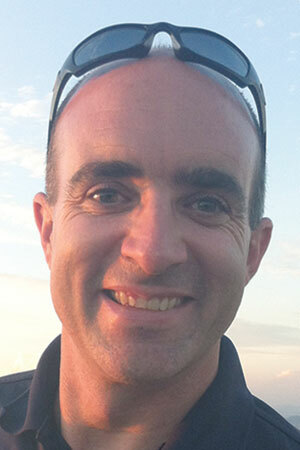 Knowing he wanted to pursue a career in the golf industry, Rafferty, 48, earned a Bachelor’s of Science degree in Business with a minor in Professional Golf Management from Ferris State University in Big Rapids, Michigan. During his time at Ferris State he completed high-profile internships at Dallas (Texas) C.C. and TPC Scottsdale (Ariz.). Following graduation, Rafferty began his career at Troon as a part-time cart washer. After four years of learning and becoming well-versed in teaching, playing, administering, mentoring and merchandising, Rafferty earned an assistant golf professional position at the club. He was elected into membership in the PGA of America in 1995, and a year later, was named the PGA Head Golf Professional at Troon, where he remains today. Rafferty takes great pride in mentoring apprentices and assistant golf professionals. His development program is designed for them to be successful in every aspect of facility operations and management. He feels it’s his duty to train, educate, empower and evaluate all of his employees on a constant basis. Rafferty is very hands on with his assistants, but he encourages and empowers them to make their own decisions. Many of his former apprentices and assistants went on to not only achieve their membership in the PGA of America, but earned head golf professional positions of their own. Rafferty also has volunteered his time as a teacher of the new member orientation class for the Southwest PGA. Rafferty’s many career achievements include being honored as the Southwest PGA Private Merchandiser of the Year (2004), holding a seat on the Southwest PGA Board of Directors and serving as chairman of the Junior Golf and Membership Committees. Rafferty was instrumental in Troon hosting the Arizona Open Championship a record nine times and volunteered as a rules official during the Championship. Rafferty and his wife, Jolanta, reside in Cave Creek, AZ., and are the parents of twins, a daughter Victoria and a son, Connor. The Southwest PGA Assistant Golf Professional of the Year – Frank Underhill, PGA Assistant Golf Professional at Verrado G.C. 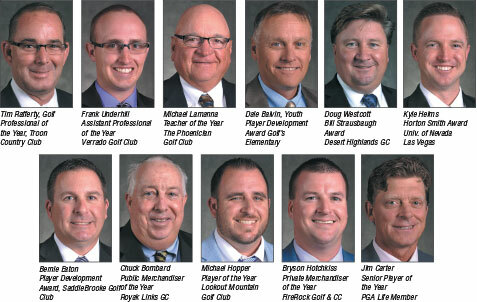 in Buckeye, Arizona, has been named the Southwest PGA Assistant Golf Professional of the Year. Born in Torrance, California, and raised in Flagstaff, Arizona, Underhill, 26, started playing golf at the age of 13 and quickly fell in love with the game. He was a member of the Sinagua High School golf team in Flagstaff for four years, allowing him to develop his game before embarking on a career in the golf industry. At the age of 16, Underhill received his first experience working in the industry as a member of the guest services team at Continental C.C. in Flagstaff. In 2008, Underhill turned his passion for golf into a career by enrolling in the PGA Golf Management Program through the W.P. Carey School of Business and Morrison School of Agribusiness at Arizona State University in Tempe, AZ. Throughout his time at Arizona State, Underhill interned at Continental C.C. and Aspen Valley G.C. in Flagstaff during the summer months. In the winter, he spent time working at Encanterra Golf and C.C. in San Tan Valley, AZ. Following graduation in 2012, Underhill was elected to PGA Membership and served as a PGA Assistant Golf Professional at Aspen Valley and Encanterra before moving on to his current position at Verrado G.C. in 2013. During his time at Verrado, Underhill has served as a coach for the PING Junior Interclub and currently serves on the Southwest PGA Junior Golf Committee. His hard work and commitment to the game of golf and to his facility are evident as he was awarded the 2014 Employee of the Year at Verrado G.C. Always striving to improve his career in the golf industry, Underhill became a Certified PGA Professional in Golf Operations in 2016. The Southwest PGA Teacher of the Year – Michael Lamanna, PGA Director of Instruction at The Phoenician Golf Club in Scottsdale, Arizona, has been named the Southwest PGA Teacher of the Year. Born in Priest River, Idaho, Lamanna, 59, began playing golf at the age of four. He attended Priest River (Idaho) High School where he was a four-year letterman for the golf team. His strong high school golf career earned him a golf scholarship at University of Idaho (Moscow), where he graduated in 1981 with a Bachelor’s of Science degree in business. After earning his membership in the PGA of America 1983, Lamanna dedicated himself to teaching golf full time – first as a master instructor and then as Director of Instruction and Director of Schools for three Jim McLean Golf Academies. In 1998, Lamanna became the first PGA Director of Instruction for Resort Golf Group, and opened and operated golf academies at Sierra Nevada G.C. in Lake Tahoe, NV., Mesquite G.C. in Palm Springs, CA., Cimarron G.C. in Cathedral City, CA., The Westin Mission Hills in Rancho Mirage, CA., and at Doral Arrowwood Resort in Rye, N.Y. He was named Director of Schools in 1999 at the PGA Tour Golf Academy in Saint Augustine, FL., and in 2002, was named PGA Director of Instruction at the prestigious Academy at La Cantera located at The Westin La Cantera Resort in San Antonio, Texas. Lamanna has worked with teaching legends Jim McLean, Bob Toski and Golf Digest Top 50 Instructor, Tim Mahoney. He has conducted clinics with World Golf Hall of Fame members Billy Casper, Ben Crenshaw, Gary Player and Tony Jacklin and with PGA Tour legends Bruce Lietzke, Calvin Peete, Bill Rogers, Dale Douglass and Gay Brewer. Lamanna has been affiliated with the PGA of America for over 33 years and has earned Level 3 (highest level) certifications in golf fitness and junior instruction with the Titleist Performance Institute (TPI). 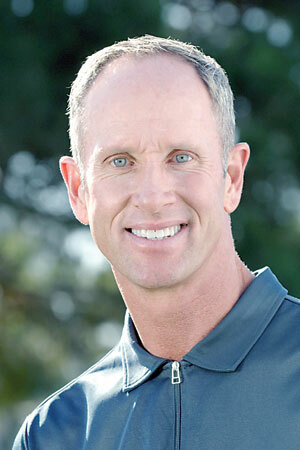 He received the 1988 Junior Golf Leader Award for the Pacific Northwest Section PGA (Inland Empire Chapter). He was also named the 2004 Harvey Penick Teacher of the Year in the Western Chapter of the Southern Texas PGA and Honorable Mention Top 50 Kids Teachers by U.S. Kids Golf in 2012, 2014 and 2015. In December of 2006, Lamanna was named Director of Instruction at The Phoenician, one of the world’s top rated luxury golf resorts. 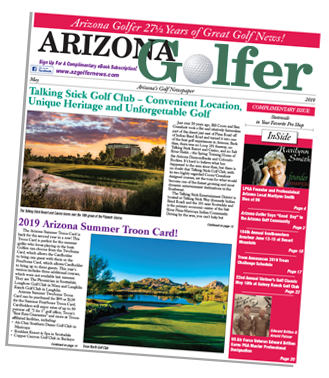 He played an integral role in The Phoenician hosting a local qualifier for the Drive, Chip and Putt Championship, Get Ready Golf, Women in Golf Month, and the annual Mom 2.0 Summit. Lamanna has volunteered at The First Tee and conducted two clinics with Dennis Walters. The Phoenician is one of very few courses that offers disabled golfers golf carts with swiveling seats, and Lamanna offers free pre-round tips to anyone using the cart. Lamanna has taught players of all levels including the San Antonio City Girls, Boys and Men’s Champions, the Texas State Mid-Amateur Champion, Arizona Amateur Champion, Phoenix Men’s Amateur Champion, Montana State Open Champion, Arizona State Boys and Florida State Girls Junior Champions, collegiate golfers, members of the LPGA, Nationwide Tour, Champions Tour and PGA Tour. Lamanna and his wife, Celia, reside in Scottsdale, AZ., and are the parents of daughters, Paula, Ann and Megan and a son, Richard. He is also the proud grandfather to six grandchildren. 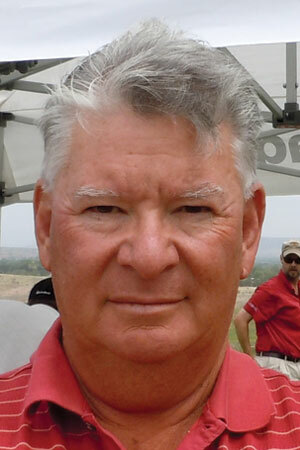 The Southwest PGA Youth Player Development Award – Dale Balvin, PGA Professional and founder of Golf’s Elementary, is the recipient of the Southwest PGA Youth Player Development Award, which recognizes the PGA Professional who is a leader in junior golf and who reflects the ideals of those who work with youth. Born in Huron, S.D., Balvin, 50, began learning the game of golf at the age of 10 from his parents and a local professional. He was a member of his high school’s basketball and golf teams before attending Ferris State University in Big Rapids, Michigan, where he earned a degree in Professional Golf Management. After graduation, Balvin earned his PGA Membership in 1992 and spent the next 10 years working for Troon Golf at numerous facilities as an assistant, head golf professional and director of golf. 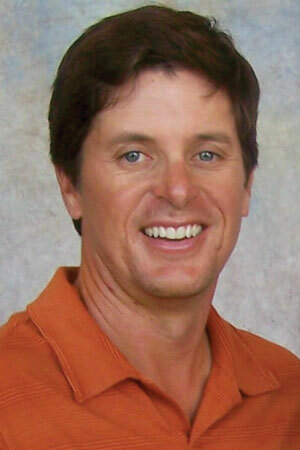 He spent two years working for Intrawest Golf Group before founding Golf’s Elementary in 2006. Golf’s Elementary, an afternoon golf program teaching kids in three school districts – Scottsdale, Cave Creek, and Paradise Valley, AZ., introduces the game of golf to over 300 juniors per year. Balvin focuses his teaching specifically for children ages 5-14 and over the past ten years his junior golf programs and tournaments reach over 600 juniors annually. In 2010, Balvin started offering programs at local courses including on-course golf instruction and playing opportunities for juniors under the brand “Arizona Junior Golf.” Balvin and his staff teach 90-110 juniors per month through their afterschool classes and summer camps, including additional classes and camps at Gainey Ranch G.C., Foothills G.C. and the Biltmore Resort. Balvin additionally began operating the U.S. Kids Golf Tour in Phoenix in 2010. This tour, which focuses on juniors aged 5-14, is a national program offering local tours, state invitational, regional championships, national championships and internationals events. The U.S. Kids Golf Tour in Phoenix consistently has over 100 participates each week for the fall and spring tours. Balvin serves as a volunteer for the Junior Golf Association’s “Itty Bitty Events”, which introduces kids to the game of golf through a one-day instructional class and fun play held at local parks across the Arizona Valley. He also advocates for the Drive, Chip, and Putt Championship events and has created his own season ending event at Kierland G.C. in Scottsdale, AZ. He introduced the PGA Junior League to Kierland G.C., fielding a 12 player team in its inaugural year. Balvin was recognized as a Top 50 U.S. Kids Master Instructor in 2010 and 2011 and earned honorable mention in 2009 and 2012. In 2012, he was named the U.S. Kids Tour Director of the Year. Balvin and his wife, Jamee, reside in Scottsdale, AZ., and are the parents of a daughter Tracee, and sons, Trevor and Todd. The Southwest PGA Bill Strausbaugh Award – Doug Westcott, PGA Director of Golf at Desert Highlands G.C. in Scottsdale, Arizona, is the recipient of the Southwest PGA’s Bill Strausbaugh Award, presented to PGA Members for distinguished efforts in mentoring other PGA Professionals and supporting them in both employment and community service. Westcott, 46, was born and raised in Kokomo, Indiana, where his parents, Harry and Sandy, introduced him to the game of golf at the age of 6. He began taking lessons with notable instructors Jim Gallagher, Sr. and Mal McMullen to help sharpen his skills. Westcott was a member of the Kokomo High School and Western High School golf teams, and played in the 1987 American Junior Golf Association (AJGA) National Junior Championship and 1988 State Championship. Westcott then attended Purdue University in West Lafayette, Ind. where he played for the Boilermakers from 1988 to 1992, while earning his degree in Movement & Sports Science. Following college Westcott moved to Scottsdale, AZ., to begin a career in the golf industry. He accepted an entry level position at Grayhawk G.C. where he spent 10 years working as an apprentice, assistant, and ultimately, the PGA Head Golf Professional in 2000, a year after earning his membership in the PGA of America. He remained at Grayhawk until 2004 when he moved on to Desert Highlands in the position he holds today. In 2014 Westcott and Desert Highlands began working on a Pro-Am which would benefit the Southwest PGA Foundation. He was selected as the Chairman for the Inaugural Southwest PGA Foundation Pro-Am held at Desert Highlands. The event generated over $25,000 in net proceeds. The second year the funds grew to over $37,000 and the 2016 Foundation Pro-Am at TPC Scottsdale is projected to make over $50,000 for the Southwest PGA Foundation. Among his many achievements, Westcott was instrumental in establishing an Arizona Department of Motor Vehicles license plate program that would generate funds for the Southwest PGA Foundation. The bill received legislative approval and the Southwest PGA Foundation’s “Game of a Lifetime” license plate was signed into law by the governor and is now available to all Arizona residents. In addition to his duties as chairman of the Foundation Pro-Am, Westcott served as chairman of the 2001 Arizona Open Championship and as a member of the Southwest PGA Foundation board of directors from 2009- 2014. He was elected President of the Foundation in 2015, a position he currently holds. 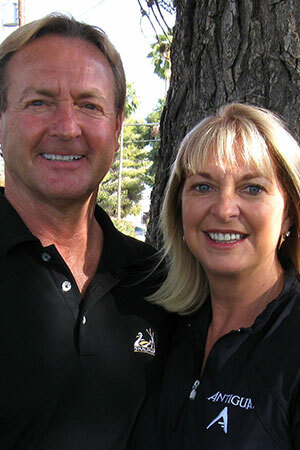 Westcott and his wife, Sandi, reside in Scottsdale, AZ., and are parents of daughters, Lauren, Ashley, Chloe, and Leah. The Southwest PGA Horton Smith Award – Kyle Helms, Assistant Director of the PGA Golf Management Program at the University of Nevada, Las Vegas (UNLV), is the recipient of the Southwest PGA Horton Smith Award. The award is given annually for outstanding and continuing contribution to developing and improving educational opportunities for fellow golf professionals. Born and raised in Albany, GA., Helms, 32, was a four-sport athlete in high school playing golf, baseball, basketball and track. Following high school, Helms attended UNLV and earned his Bachelors of Science degree in Recreation with a Concentration in PGA Golf Management in 2007. During his time in the PGM program, Helms completed internships at a number of golf facilities including the historic Congressional C.C. in Bethesda, MD., and The Broadmoor in Colorado Springs, CO. Helms later earned a Master of Science degree at UNLV in Sport and Leisure Service Management in 2012. Helms earned his membership in the PGA of America in 2010 and was hired as the assistant coach for the UNLV Women’s Golf Team. After a successful season, Helms accepted the head golf professional position at Las Vegas National G.C. In 2012, Helms joined UNLV as the Assistant Director and Internship Coordinator for the PGA Golf Management program. His primary areas of focus include classroom instruction, career advisement, academic advising, and internship placement. He is also actively involved in player development student meetings and events. Helms is very involved in voluntary contributions to educational programs in the PGA Southern Nevada Chapter. He donates his time and resources for the development, promotion and coordination of the numerous education events. In his current position Helms’ goal is to inspire and positively influence the next generation of PGA Professionals. 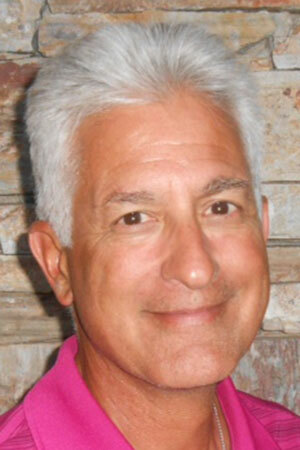 He serves on the board of directors for the Southern Nevada Chapter PGA and is Chairman of the Education Committee. He was honored by UNLV’s PGM Program as the 2012 Rebel Pride Golf Professional of the Year, the highest honor for PGM alumni. Helms and his wife, Sarah, reside in Las Vegas, Nevada. The Southwest PGA Player Development Award – Bernie Eaton, PGA Director of Golf at SaddleBrooke G.C. in Tucson, Arizona, is the recipient of the Southwest PGA Player Development Award, which recognizes a PGA Professional for extraordinary and exemplary contributions and achievements in the area of player development. Born in Reading, PA., Eaton, 46, played on the varsity golf and tennis teams at Schuylkill Valley High School in Leesport, PA. and earned the distinction of Eagle Scout through the Boy Scouts of America. Following high school, Eaton attended the University of Arizona in Tucson, AZ., earning a Bachelor of Science degree in turf grass management with a business administration minor in 1993. Upon graduation, Eaton returned to Pennsylvania to work as an assistant golf professional at Berkleigh C.C. in Kutztown, PA. Following three seasons at Berkleigh, Eaton accepted the golf events coordinator position at El Conquistador C.C. in Tucson. During his time there he earned his PGA membership and was promoted to the PGA Head Golf Professional, where he served until 2002. 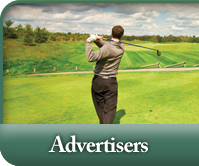 After head golf professional positions at The Pines G.C. and the JW Marriott Starr Pass Resort and Club, Eaton accepted his current position as the PGA Director of Golf at SaddleBrooke in 2009. At SaddleBrooke, Eaton has been instrumental in implementing many programs including Welcome to Golf Month, Get Golf Ready, Short Tee Program, Free Clinic Fridays, 9 & Wine League, and Complimentary Supervised Practice Sessions. The Get Golf Ready program was established four years ago and has successfully graduated over 350 students. Many of these students have gone on to the 9 & Wine league, which currently has over 175 participants. Each May SaddleBrooke holds their Free Fitting and Trade-Up Month, which added close to $15,000 in hard good sales to their retail numbers in 2015. The Welcome to Golf Month program was started in 2015 and offers four complimentary one hour clinics to new golfers to help ease them into the Get Golf Ready Program. SaddleBrooke’s Patriots Golf Day Program has evolved into a Folds of Honor Foundation Pro-Member event, featuring club members and over 20 professionals from the Southern Chapter. In the past three seasons the event has raised over $15,000 for the Folds of Honor Foundation. Eaton currently serves as Secretary of the Southern Chapter of the Southwest PGA and has served on its board of directors for the past five years. He is also a member of the Southwest PGA Tournament Committee and Player Development Committee on adult, veteran and diversity. Most recently, Eaton was named the 2016 Southern Chapter PGA Golf Professional of the Year, and is currently pursuing certification through the Club Managers Association of America. Eaton resides in Tucson, Arizona. The Southwest PGA Private Merchandiser of the Year – Bryson Hotchkiss, PGA Assistant Golf Professional at FireRock Golf and C.C. in Fountain Hills, Arizona, is the recipient the Southwest PGA Private Merchandiser of the Year Award. Hotchkiss, 35, grew up in Aberdeen, S.D., and was introduced to the game of golf by both of his grandfathers. After his hometown built a golf course, Hotchkiss was hooked on the game. During his high school years he worked at the course doing maintenance and developing his game. A muti-sport athlete in high school, Hotchkiss served as captain of the basketball, baseball and golf teams and also competed in track. During his high school football career, he was a four-time South Dakota State Football champion (1996-1999) and was named First Team All-Conference in 1999. In 2000, Hotchkiss moved to Arizona to attend the Golf Academy of America in Phoenix. During the summers, he would head home to South Dakota to work at various golf courses in Sioux Falls, including the Country Club of Sioux Falls. He later spent time working at Longbow G.C. in Mesa, AZ., and Bakker Crossing G.C. in Sioux Falls. In the fall of 2004, Hotchkiss was offered a job as an Assistant Golf Professional at FireRock Golf and C.C., where he remains today. 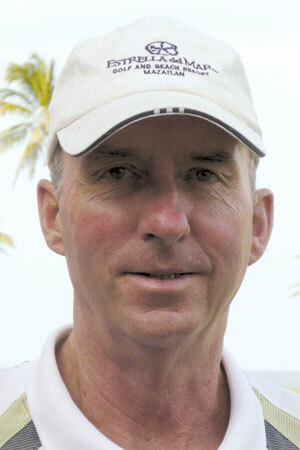 Hotchkiss was elected into PGA membership in May of 2009. Throughout his career at FireRock, Hotchkiss’s strong work ethic has continually earned him more responsibility. One of the added responsibilities was taking over as the club’s merchandiser. He takes great pride in ensuring that the golf shop always looks terrific. Hotchkiss’ merchandising philosophy is providing exceptional product knowledge, offering a range of product varieties and always giving timely, quality and reliable service. He believes that knowing his customer is the key to being a successful merchandiser. It is with this practice that Hotchkiss is able to sell merchandise before it even hits the shop floor. He served on the Southwest PGA Apprentice Committee from 2011-2013. Hotchkiss resides in Chandler, Arizona. 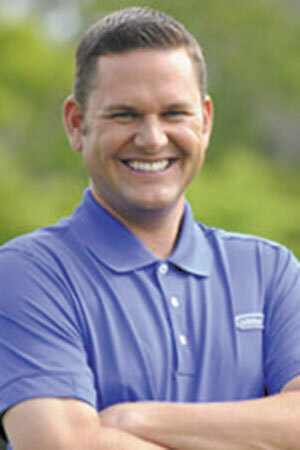 The Southwest PGA Public Merchandiser of the Year – Chuck Bombard, PGA General Manager at Royal Links G.C. in Las Vegas, Nevada, is the recipient the Southwest PGA Public Merchandiser of the Year Award. Bombard, 58, is a graduate of Florida Southern College in Lakeland, FL., where he majored in Business Marketing. He earned his membership in the PGA of America in 1985 and began his career in golf working at a couple of different facilities, most notably as the PGA Head Golf Professional at La Paloma Golf and C.C. in Tucson, AZ. It was at La Paloma where he had one of his career highlights after he had the honor of caddying for Jack Nicklaus. He was named the PGA Head Golf Professional at the famed TPC Sawgrass in Ponte Vedra Beach, FL. in 1991 and served in that capacity until 1996 when he moved on to TPC Las Vegas (NV. ), formerly named TPC at The Canyons, where he was hired as the Pre-Opening & Opening PGA General Manager/Director of Golf at the facility. After four years at TPC Las Vegas, Bombard moved over to the private TPC Summerlin in Las Vegas where he served as the PGA General Manager/Director of Golf for 10 years before accepting his current position at Royal Links G.C. His goal for all guests of Royal Links is to treat them like Royalty the minute they arrive through the gates. His golf shop is no exception. He believes in offering all his customers the finest, latest fashions on every item in the shop. He offers “head to toe” merchandise in the event a customer needs an unexpected item and impulse items that have been a huge hit for the facility. The most unique revenue source for his golf shop is the “Par 3 Challenge” where guests have the opportunity to make “the best winning bet in Vegas.” A guest can make a wager amount of their choice on the par 3, 8th hole and if the green is hit in regulation, the guest doubles their wager in golf shop merchandise that day. If the green is missed, the wager amount is still offered for merchandise in the shop. It’s a “no lose” proposition for each guest and gets them excited during their round about what they will get in the shop once their round is completed. It has been a great source of revenue for the golf shop with over 20% of total revenue for the year generated by the Par 3 Challenge. Bombard was previously honored with the Southwest PGA Horton Smith Award (1991), North Florida Section PGA Resort Merchandiser of the Year Award (1996), Southwest PGA Private Merchandiser of the Year Award (2002) and the Southern Chapter of the Southwest Section PGA Professional of the Year in 1990. Bombard and his wife, Elizabeth Culver, reside in Las Vegas, Nevada, and are the parents of daughters, Bridget, Christina and Amelia. The Southwest Section of the PGA of America is a professional organization serving the men and women golf professionals in Arizona and Southern Nevada who are the recognized experts in growing, teaching and managing the game of golf. The Southwest PGA is responsible for the administration of competitive golf tournaments, junior golf programs and events, educational opportunities, support programs and growth of the game initiatives. With over 1325 members and apprentices, the Southwest PGA is the fifth largest of the 41 regional entities or Sections that comprise the PGA of America. 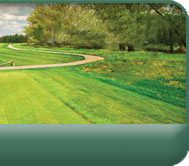 For more information about the Southwest PGA, please visit www.southwestpga.com and join us on social media at www.facebook.com/swsectionpga and twitter.com/swsectionpga.